INFINEZ - How Astrology Can Be Helpful In Your Life | Astrology can be much more than an entertainment, it can also be very helpful to you in many situations and many areas of your life. Astrology can be beneficial when you are confronted with difficulties, dilemmas, and questions; and it will also serve a good purpose in your average, everyday life. If you have either specific problems or merely general, basic concerns, gaining insight into astrology will help provide you with the answers you may be searching for. Many people first develop an interest in astrology because they wish to know about their futures what is on their particular horizon, what to expect in the day ahead or the coming weeks, months, or even longer. But while this surely is one of the most interesting aspects of astrology, it becomes even better when you are advised that the wealth of information which is presented to you in your readings is not solid, unchangeable fact, but rather more like a map which, with assistance and determination, you can learn to navigate. Your readings will tell you what is likely to occur but it is your responses to each set of circumstances in your everyday life which will determine the ultimate outcome. Being able to know the "possible future" in advance can be a great help when you are making your daily choices and decisions. The subject of relationships is a topic-of-interest to many people who consult astrology for information and advice. Regardless of your relationship-status, astrology can be helpful. If you are in a longterm, committed relationship, such as marriage, astrology can assist you in better understanding your mate, and better communication. If you are considering a special person as a "potential," astrology can help you to determine whether you and your special person are compatible. If you are, as many who become astrology-curious are, wishing for there to be a significant person in your life, it can help you gain a better view to what type of person you are looking for, and what kind of person would be best for you. 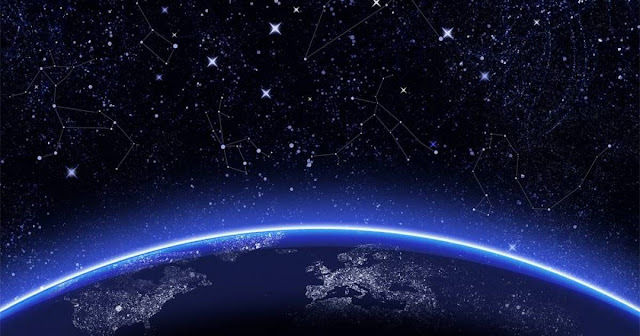 Whether you opt for the generalized horoscopes in your daily newspaper or to consult with a professional astrologer, astrology will give you a much clearer view into your own personality and its workings. While it may sound odd, or even impossible, that being born under a certain sign almost universally points toward specific personality traits and characteristics, if you do a bit of investigating into what your sign states about you, you may be surprised at how accurate this information is! In addition, when this information is directly in front of you to look at, you will then have the opportunity to decide if there are traits and characteristics which you wish to affect some degree of change upon, as well as seeing all of the positive aspects of your personality and focus on them to make choices for such factors as what type of career you are best suited for. 0 Response to "How Astrology Can Be Helpful In Your Life"